Do you want to watch free TV without paying monthly fees! Cutting the cord or CUT THE CORD has become quite a hot topic of interest nowadays. Many people are choosing to “cut the cord” of their paid cable or satellite connections and choose other alternatives. The options are rising daily, giving users a whole range of choices for free TV. Here are a few popular options that you can try out. While there are many apps that let you watch free TV shows and movies, you might not find everything that you want on them. The easy alternative to this is to get yourself a HD antenna. A good quality HD antenna can pick up over-the-air programming from several popular networks, all for free! Supplement your streaming services with a great HD antenna to enjoy all of your favorite movies and TV shows for free. The highest rated HD antenna, this model comes in various shapes and sizes to suit the specific needs of your home. Go green with the Mohu Releaf HDTV antenna! Made from 100% recycled materials, feel good about watching TV. One of the cheapest HDTV antennas. Enjoy up to 38 of your favorite channels for free! Now that you are all set up with your HD antenna, let’s get you some amazing apps to supplement your local channels with even more TV shows and movies for free! One of the best apps in the market, Crackle supports just about every device imaginable. From your iPhones, iPad, Android smartphones, Blackberry, iPod Touch, gaming consoles, streaming players, smart TV’s, and so much more! Download the app and learn all about the amazing features and benefits. Watch thousands of feature-length movies for free on this amazing website where you don’t even need to sign up for an account to enjoy it! A website where you can watch all genres of films and TV shows for free, Popcornflix can be downloaded for your iOS devices. You can also download Popcornflix for PC here . 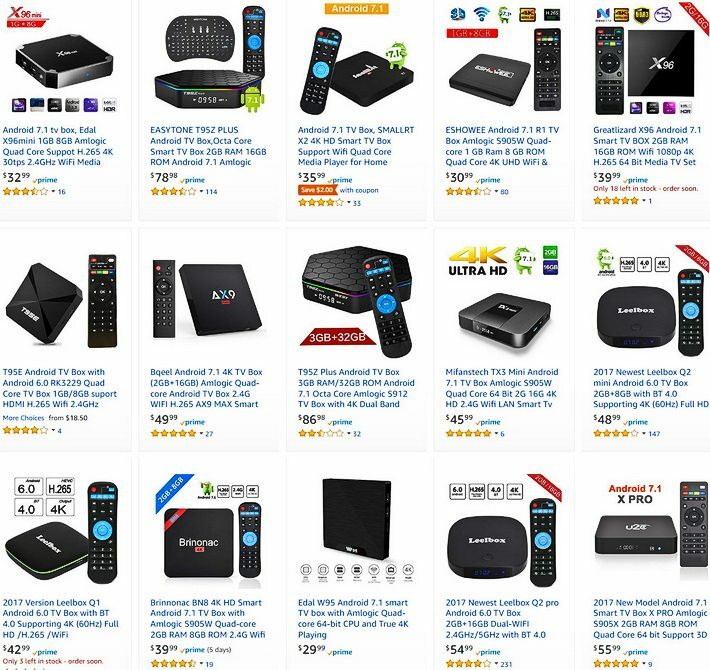 An Android TV Box lets you connect to the internet and watch just about anything. It works using KODI and other addons you can install free. Similar to Crackle, Tubi TV can be downloaded on almost any kind of device that you own. You can even sync up your account with all of your devices, so if you start off watching from one device, you can pause, and continue your movie or TV show on another device. A highly functional app for watching movies, TV shows, reading biographies of your favorite celebrities, reading celebrity news, and even watching trailers of all the new movies. Viewster is a great free app for movie and TV show buffs. You can download Viewster for your iOS or Android devices. Yet another movie watching app which is completely free and does not require you to sign up with an account. Vudu has a variety of movies of different genres for you to enjoy. Enjoy watching all of your TV shows on Vudu as well. While there is a section where you can pay to watch certain special movies, you can also enjoy some great deals if you check out the Vudu website. There is a section called “Movies on Us” which allow you to watch about 1000 movies free of charge. Another great place for you to find all of your favorite TV shows in one place. While you can simply sign in with your Yahoo account to access the Yahoo view, it is not necessary for you to have a Yahoo account to use Yahoo view. And last but not the least is one of the old favorites, YouTube. There are many indie and even some old classics uploaded for your viewing pleasure. Don’t pay a single penny to enjoy your favorite entertainment options. Download any of these amazing apps, and combined with your new HDTV antenna, you are all set to enjoy your free movies and TV Shows. We will continue to provide you with tips, tricks, DIY home improvement and repair, as well as other fun projects to upgrade your life without damaging your bank account.